The latest Murakami drop is so impressive that Sugimoto68 just had to do a hot take on it. 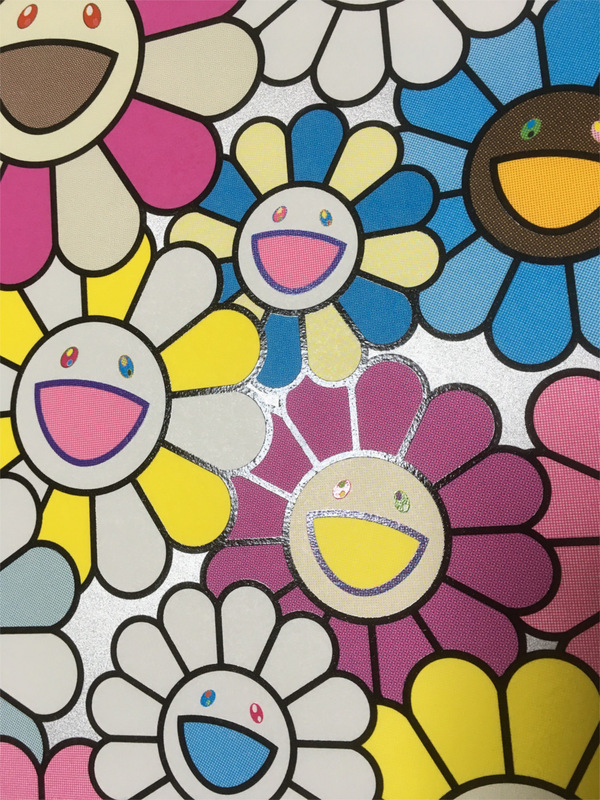 Murakami created the unbelievably perfect and future grails A Little Flower Painting: Yellow, White, and Purple Flowers & A little Flower Painting: Pink, Purple, and Many Other Colors. Sugimoto68 gives a quick rundown on what makes this little pair so important. 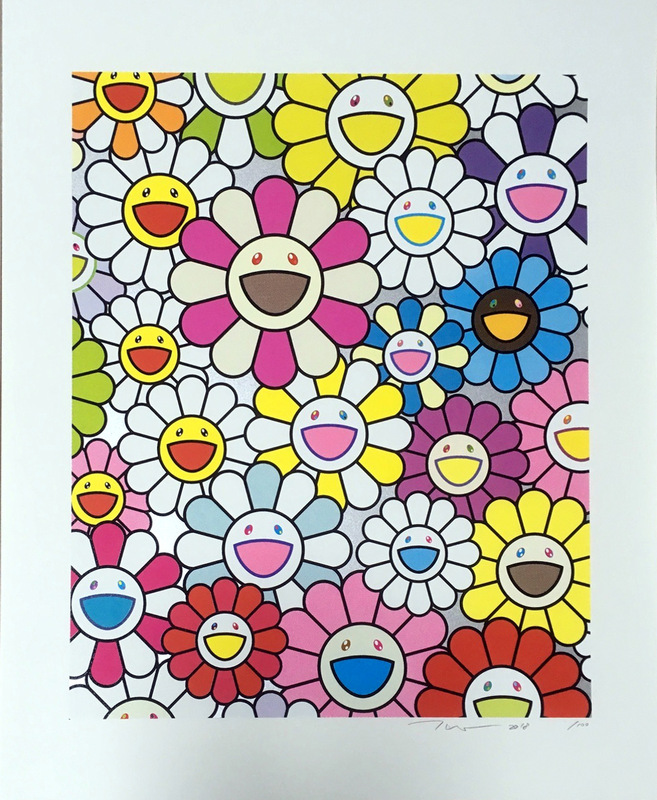 What makes a particular Murakami print seminal? Sugimoto68 considers the combination of: Quality—Does it look spectacular? 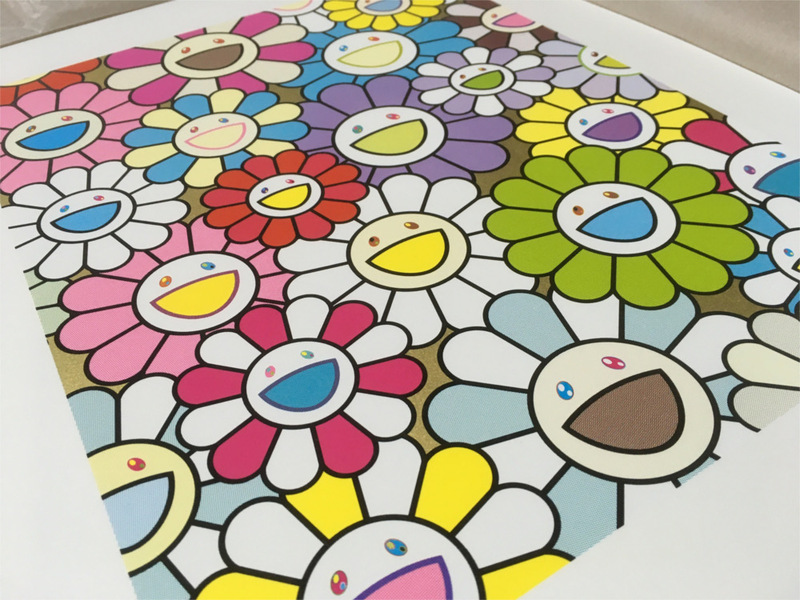 Significance—Has Murakami brought something new to his print oevure? Reception—do Murakami fans care? In the past there have been prints such as Reversed Double Helix (2005), Kansei Skulls (2011) and the Red Flowers (2017) silkscreen that meet at least two of the three criteria. Reversed Double Helix introduced the Double Helix character on the Curious Metallics Iridescent paper, but despite its newness and cool effects, it has never particularly been a popular print. Additionally, neither the DNA motif, nor the Curious paper ever went on to become quintessential print features. The Kansei Skulls print seemingly meets all of the criteria and it is arguably seminal as it introduces the skull background, which is popular and continues to appear in a large number Murakami prints, including the Madsaki silkscreens. However, the relative popularity of Korin Skulls is not so high–if that changes, it would meet the Sugimoto68 criteria. The Sugimoto 68 criteria applies to a number of prints. 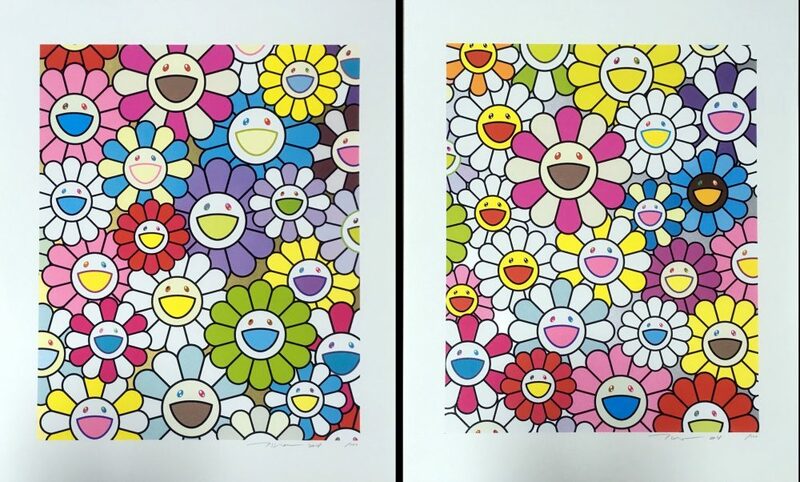 For instance, Flowers, Flowers, Flowers (2010), adds the cold stamp backdrop to the enormously popular Hana-chan flower motif, while the 727 silkscreen does a seminal take on another seminal print by donning Murakami’s sophisticated silkscreen techniques. 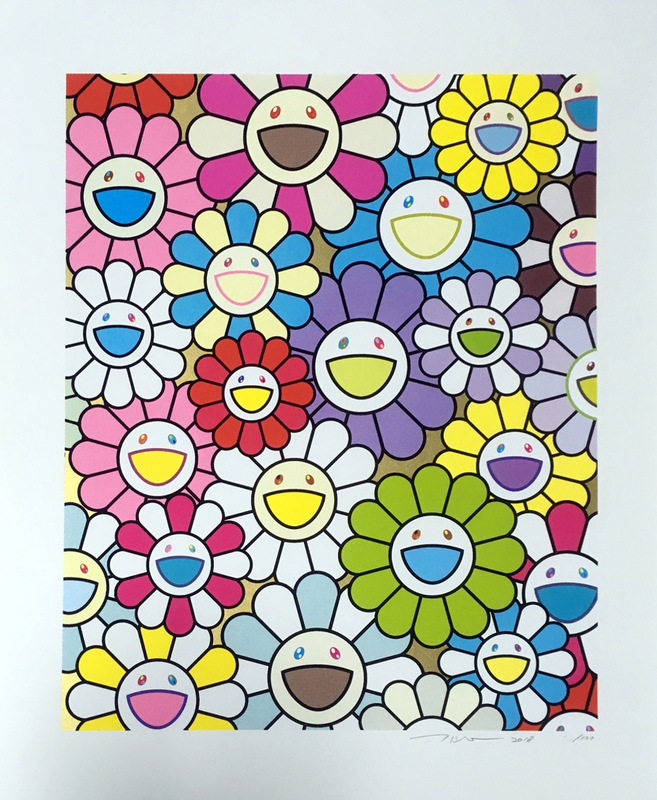 The 727 silkscreen also marks the beginning of relatively affordable, but still unaffordable, Murakami silkscreens. Now with the definition out of the way, here is why the Little Flower Painting prints are seminal. 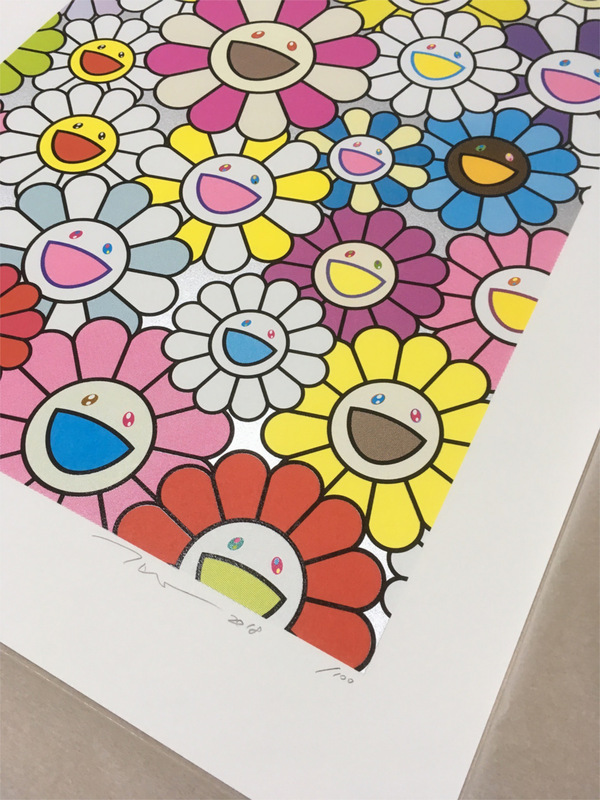 By stepping up the classic flower print with his silkscreen technique, Murakami elevates the image with rich textures and eye-popping color. 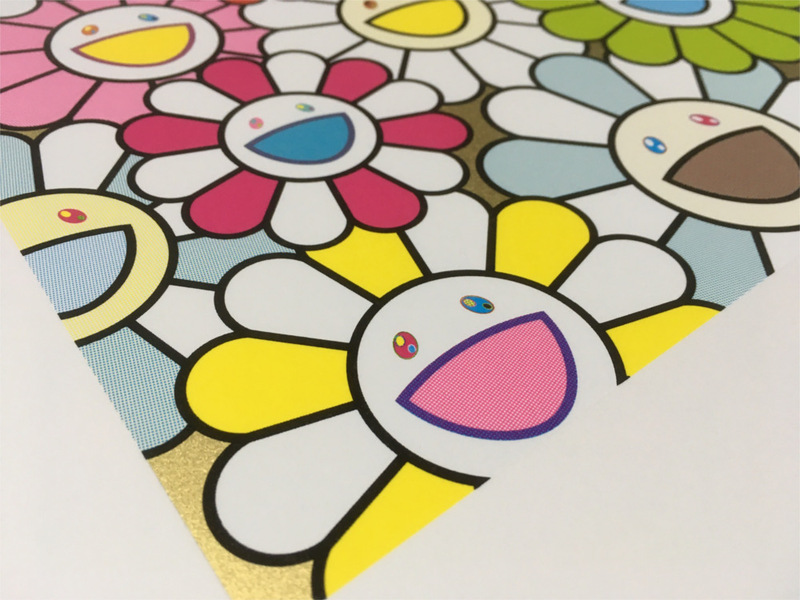 The Little Flower Painting duo gives us Murakami’s first mini silkscreen with gold and platinum leaf and multiple colors. His earliest mini flower hand-printed lithograph, Floflowers (2003) (I Love prints p22) does not apply the leaf application techniques introduced in the Dob 2005 silkscreen series (I Love Prints p124). The recently released mini-prints Red Flowers, Black Flowers and the Madsaki Flowers clearly predate Little Flower Painting prints, but they only employ between one to three color applications.The Little Flower Painting prints with their full range of colors and leaf applications more closely resembles the classic flower print that Murakami fans have come to adore. 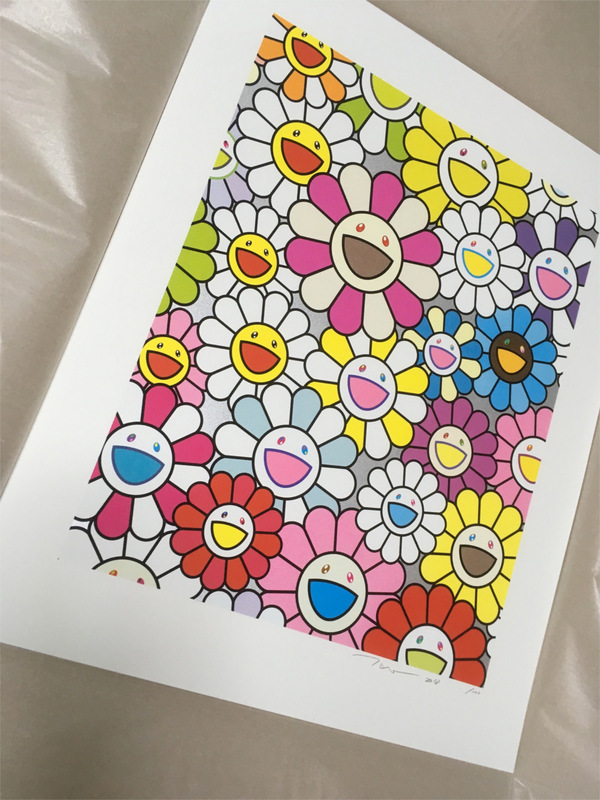 The Little Flower Painting prints encapsulate all of the best qualities of the Murakami print series. If you can get your hands on one, you will be rewarded. Good luck hunting for these beauties!